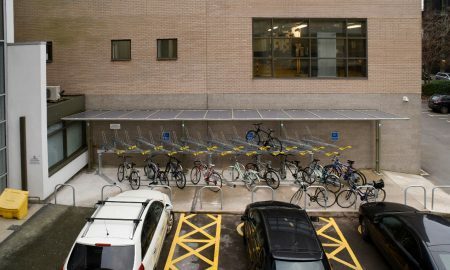 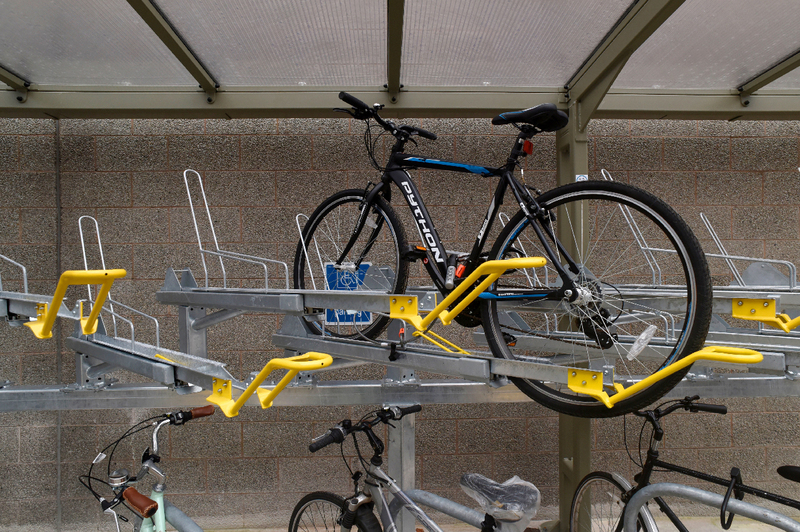 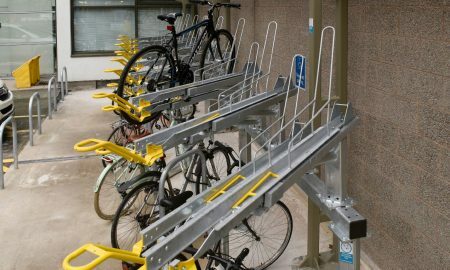 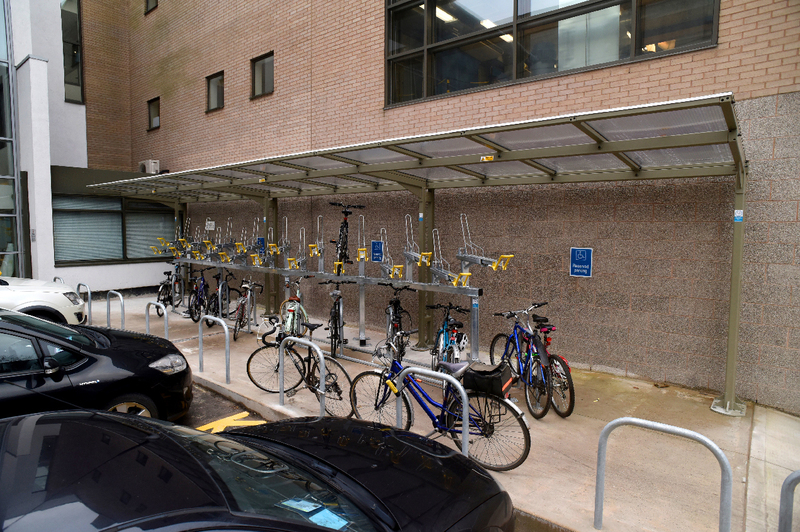 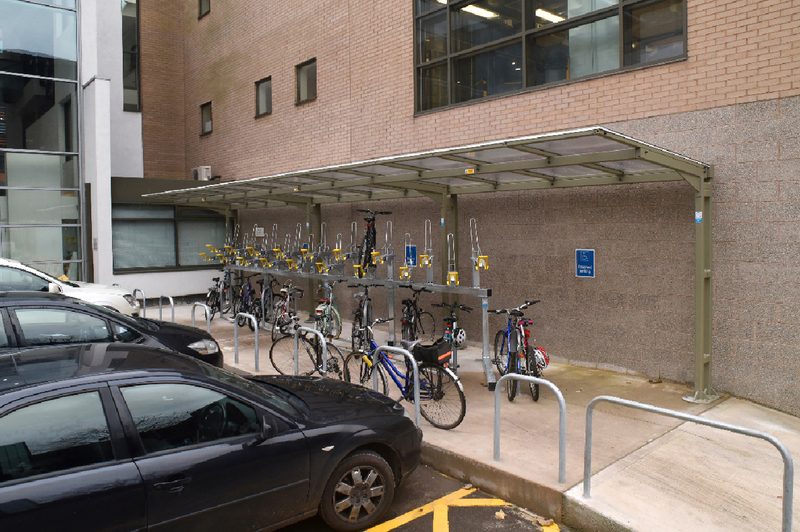 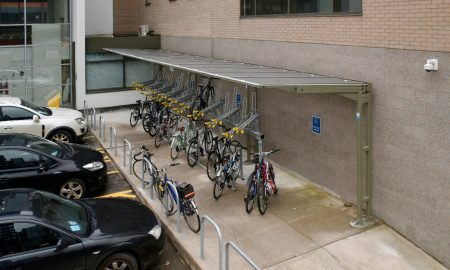 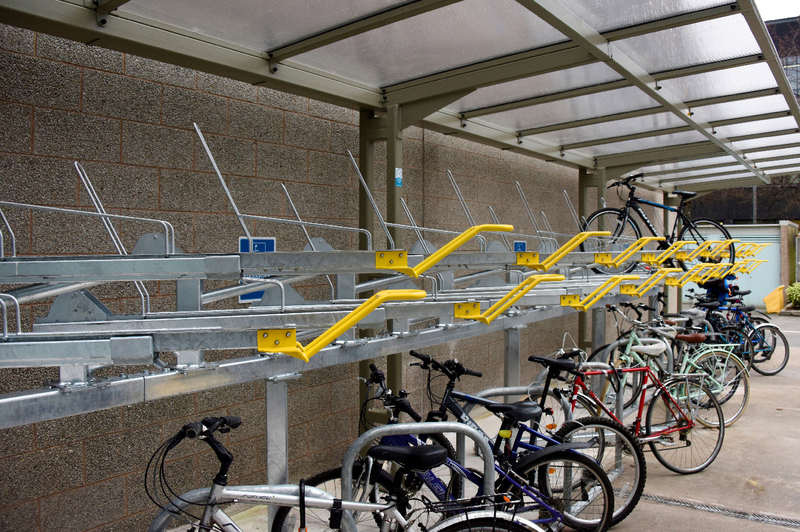 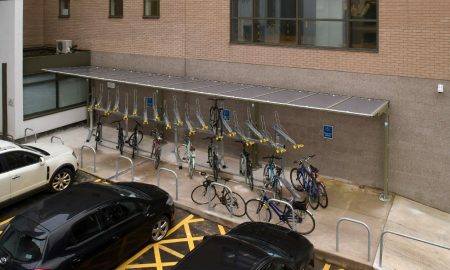 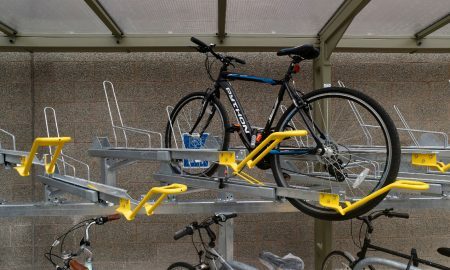 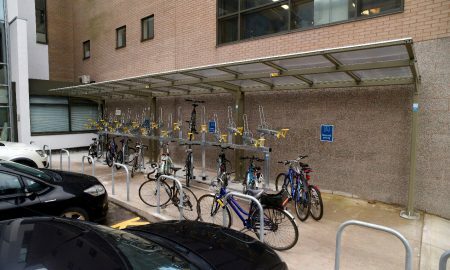 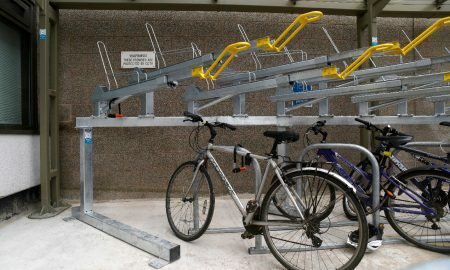 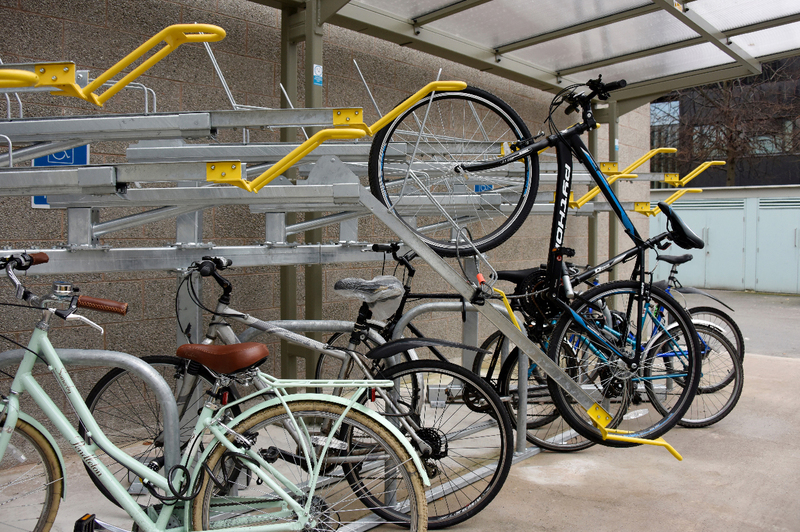 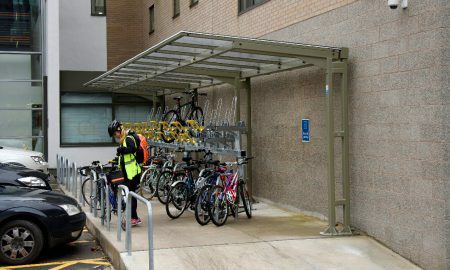 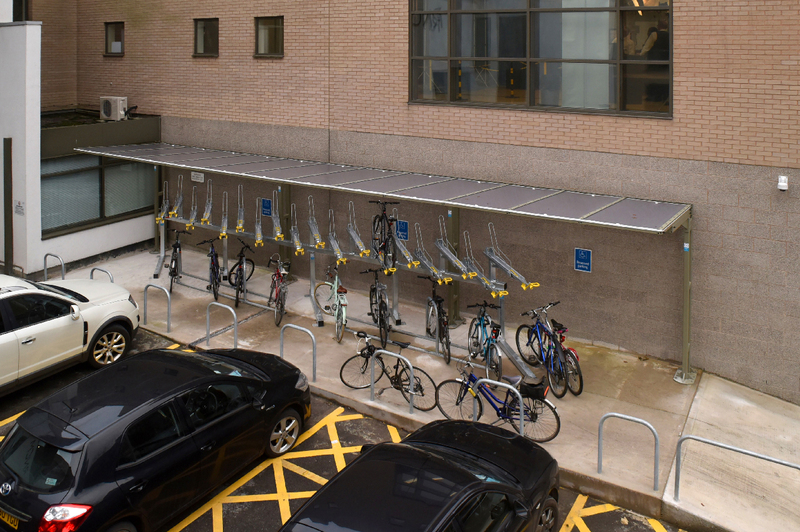 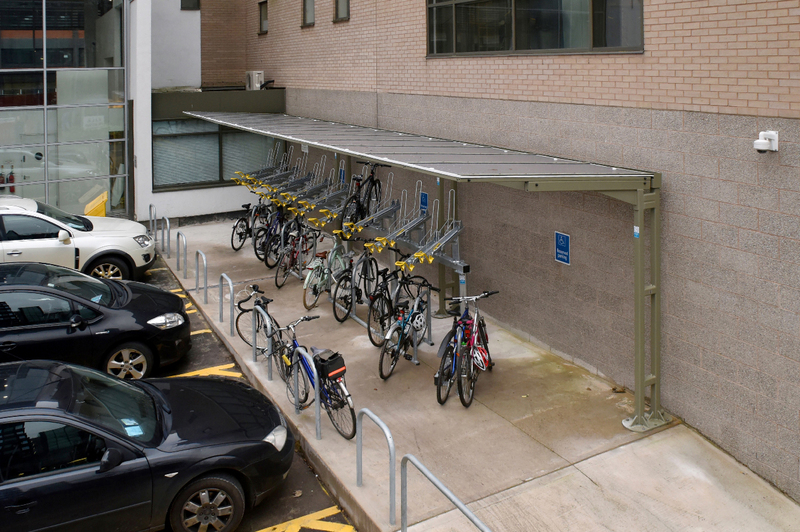 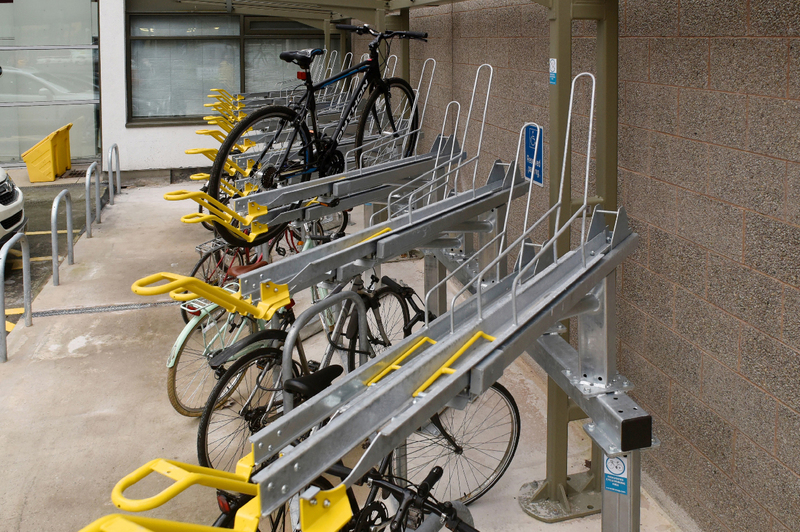 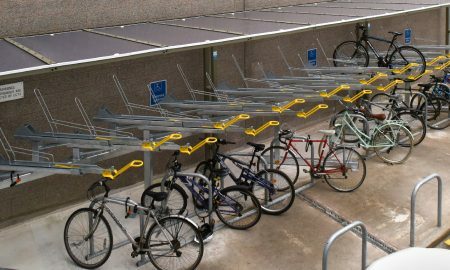 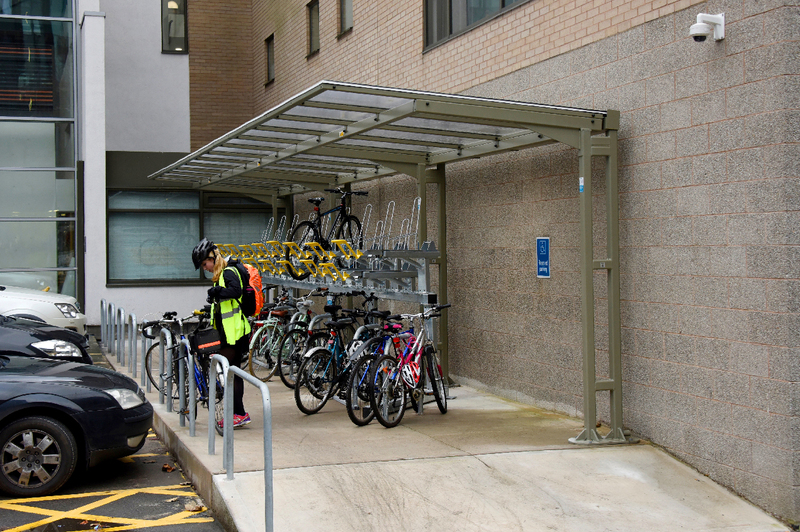 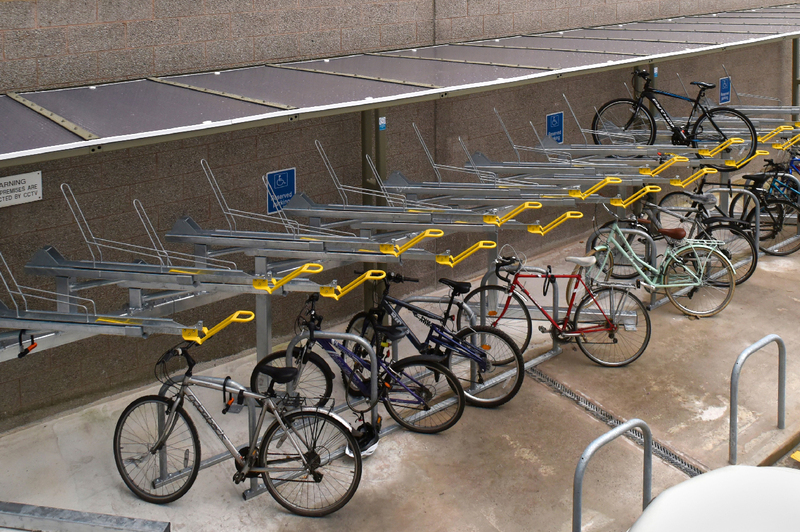 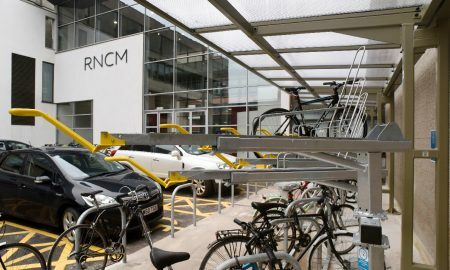 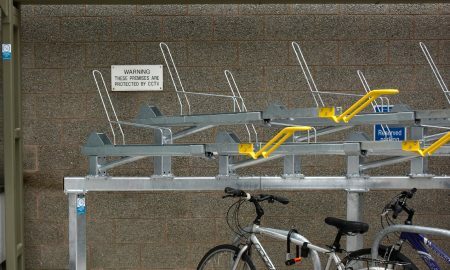 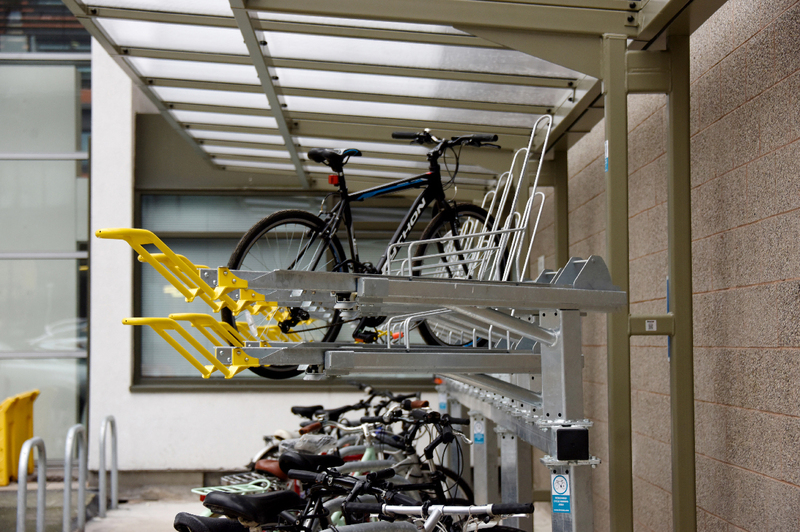 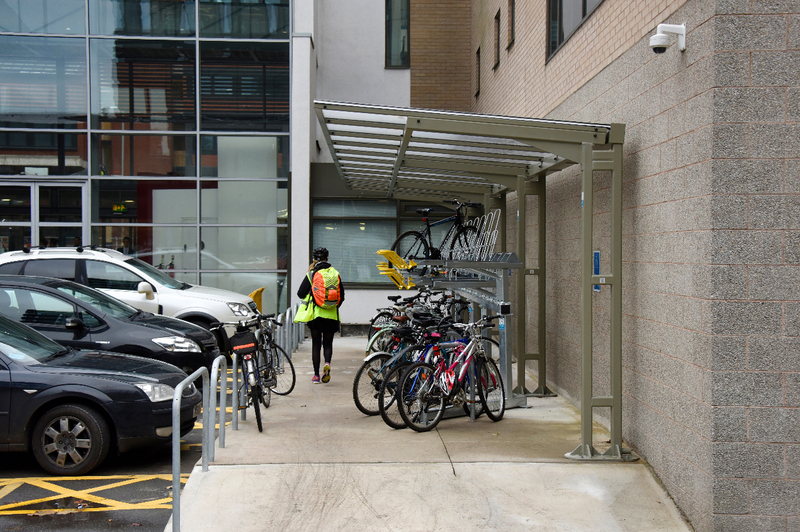 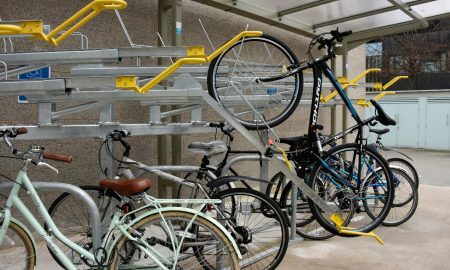 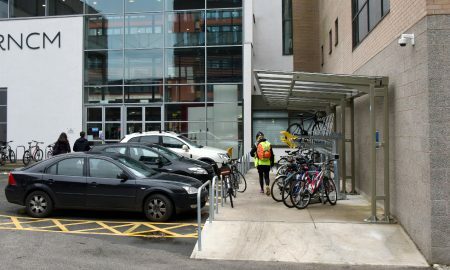 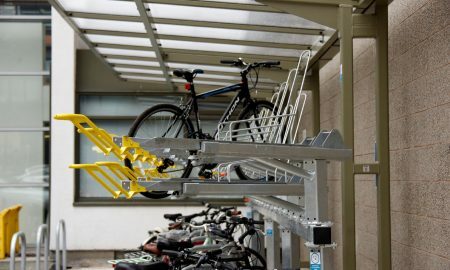 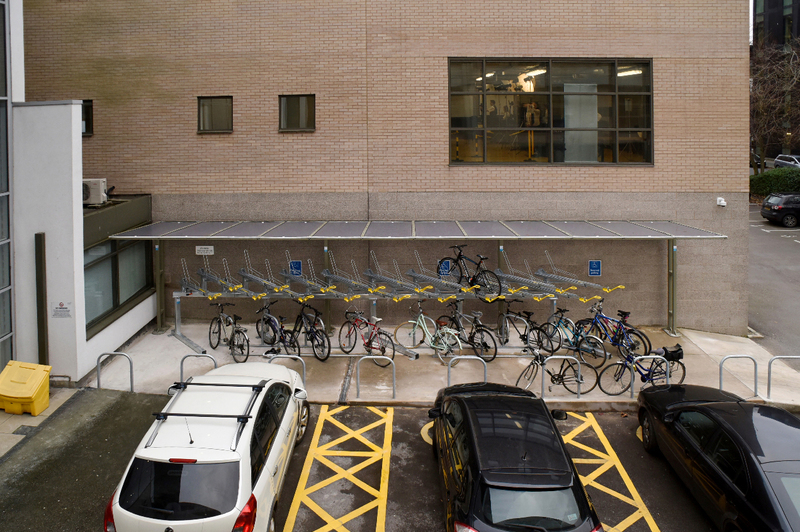 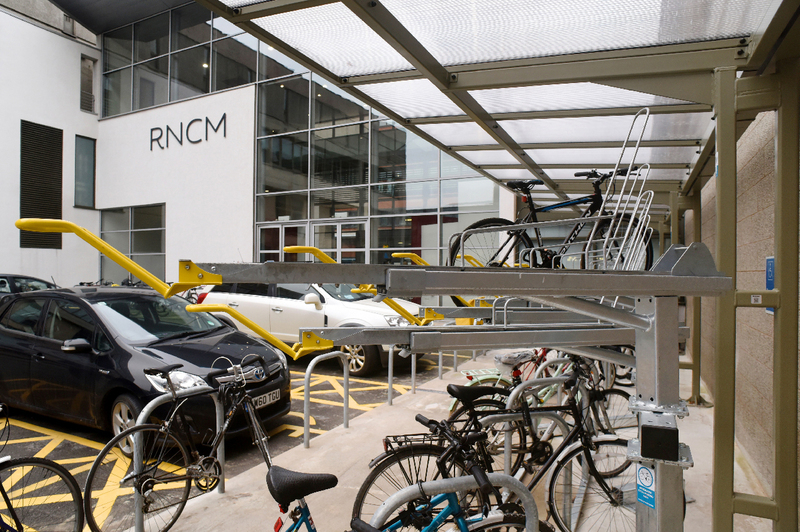 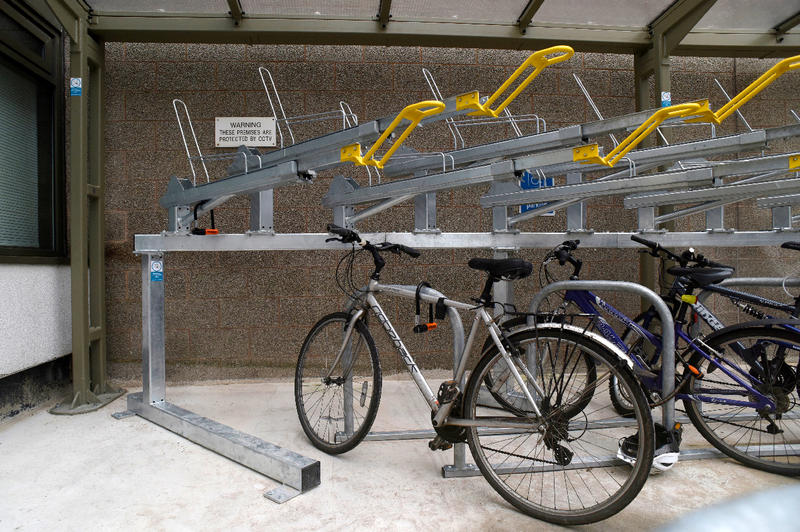 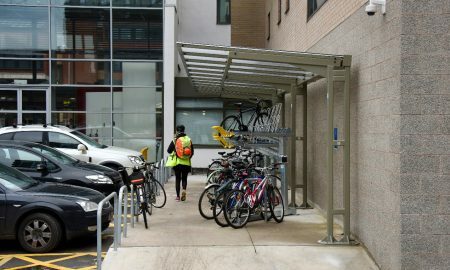 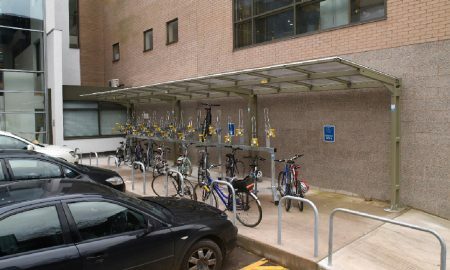 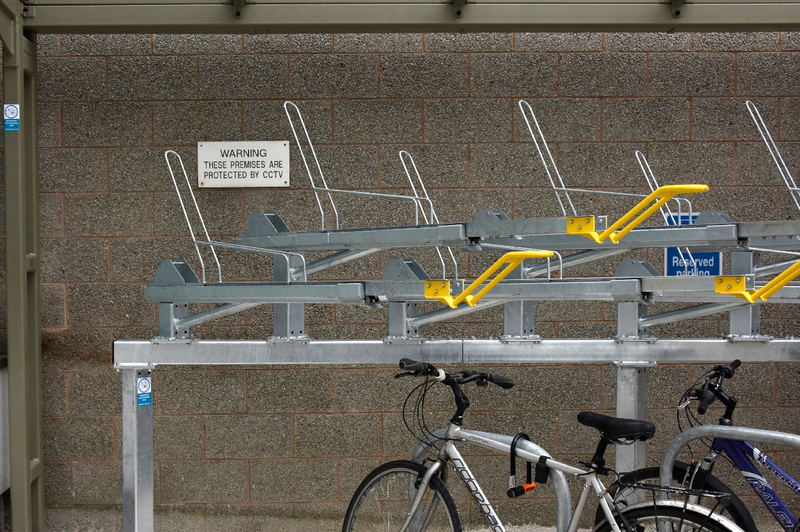 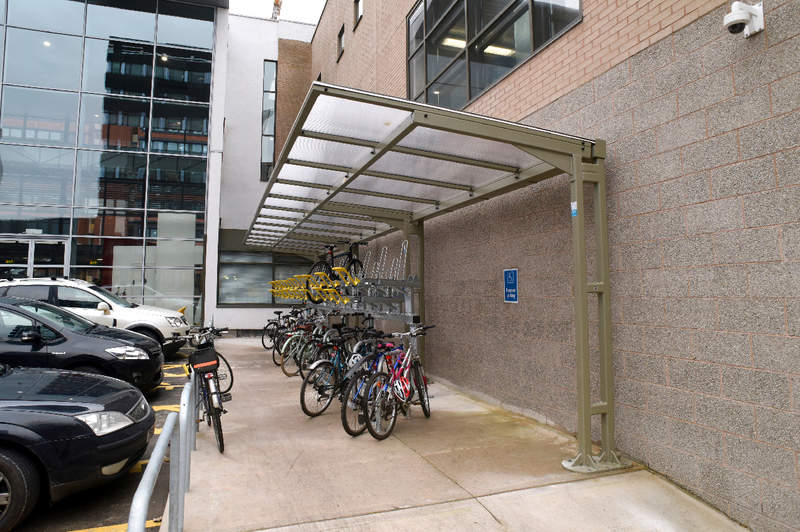 The College held a tender process for the provision of cycle parking facilities within a tight footprint at the College Campus in Manchester. 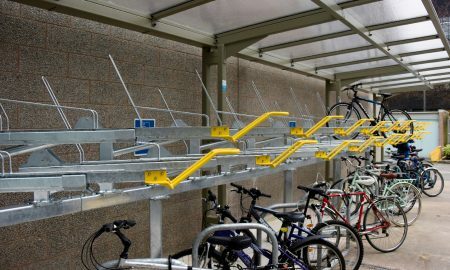 Broxap Ltd. won this tender based around not only price but the flexibility of their Hi-Rise Two Tier System, this down to the fact that within such a tight and restricted footprint Broxap could create a ’45º angled’ version of their Two Tier System that would still allow a large amount of cycles to be stored whilst allowing easy access to park and remove cycles as well as allow plenty of space to passing pedestrians using the entrance beyond. 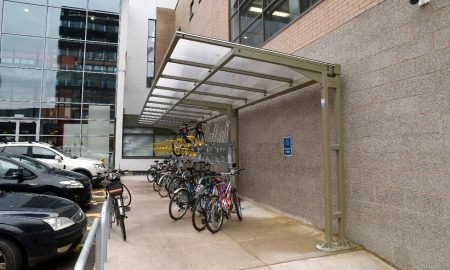 Broxap utilised their Coventry Cantilever Shelter to cover the Two Tier System, this again being minimal in design and allowing cycle to easily be stored beneath on the Two Tier System.